Employee Management best practices are to add employees via the employee import process that includes Employee IDs. This practice facilitates the ability to update employee records through subsequent imports. Please NOTE: All employee information is added on a per site basis. See below. 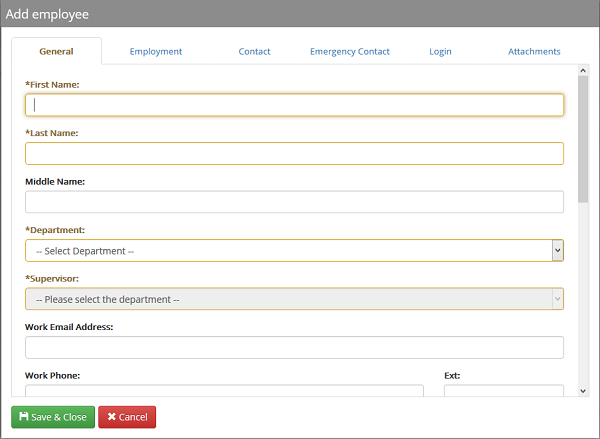 Set up departments and supervisors prior to adding employees manually. 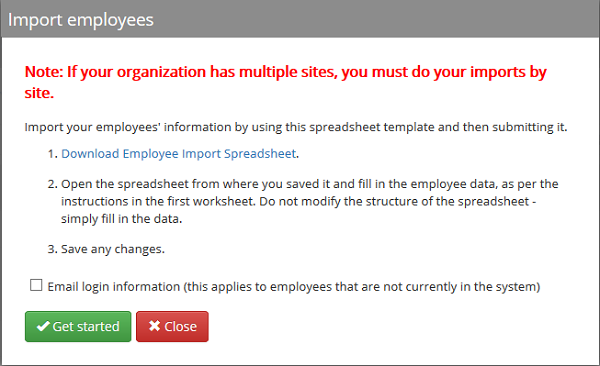 Import and update several employees in a site at once using our supplied Employee Import spreadsheet. 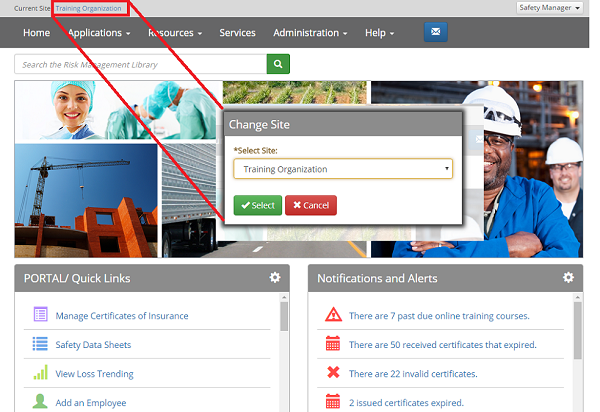 You can export limited employee information from the Risk Management platform, including Employee Portal credentials. This can be useful when assigning training to employees who do not have access to a work email address. Exports will be downloaded in Excel format and include columns for Department, Employee (Last, First), Employee ID, Supervisor, Position, Classification, and the Employee Portal Username and Password. If an employee record has been duplicated in a site, you can merge them into a single record. 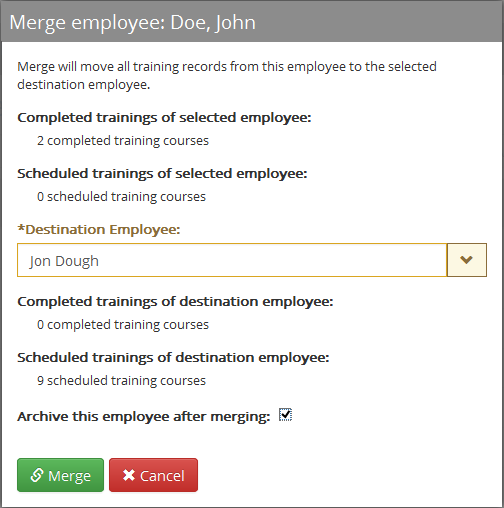 The completed and scheduled training associated with each selected employee is displayed in the Merge panel. All of the indicated training records will be associated with the destination employee after merging. You can archive employees to remove them from lists and reports but still retain their information in the system. Archived employees will remain so unless they are either deleted or restored to active status by a user. Archived employees can be restored to active status at any time. Employees must be archived before they can be deleted. Deleted employees are not recoverable.